Mimosas e delicadas foram as flores que escolhemos para este Baptizado. Nas cores definidas para a festa e bem primaveris, colocadas em diversos arranjos, para salpicar de cor os diferentes espaços criados. 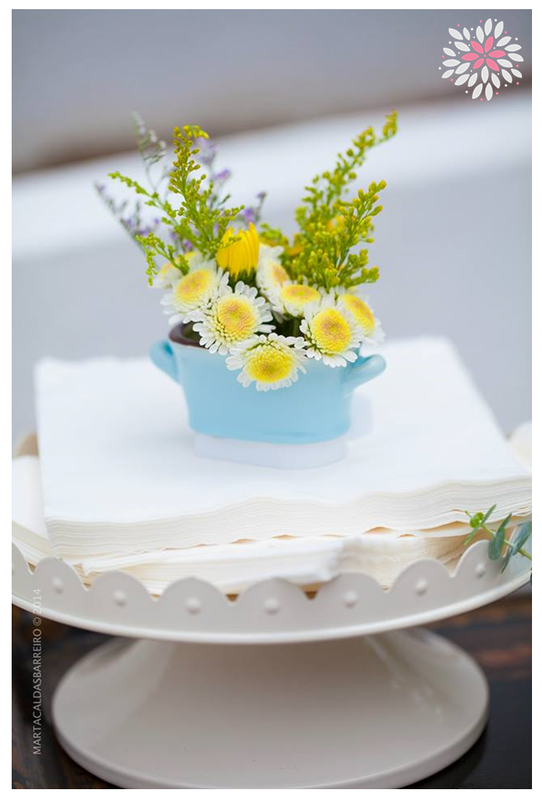 Those were some of the beautiful and delicate flowers that we choose for this Christening party. Respecting the palette color defined and with a springful look we took them and create various centerpieces, in different sizes and shapes. In the end we splashed all the venue with them.